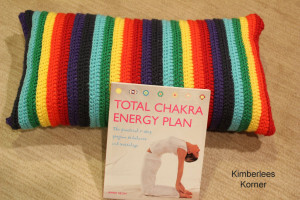 This crochet pattern is for a yoga pillow, or bolster, crocheted in chakra colors. 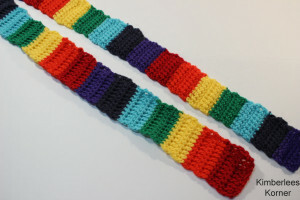 There is also a bonus yoga strap pattern included with this download. The yoga pillow is 22 in. by 12 in. 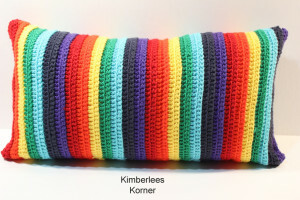 and is a good size small to medium bolster for your yoga practice. I designed this pattern because I needed a bolster for some of my yoga poses and decide to create my own instead of buying one. 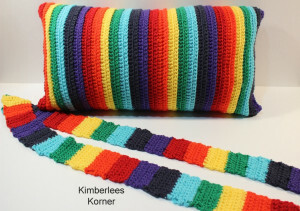 This pattern is crocheted with acrylic yarn and a size US K hook. 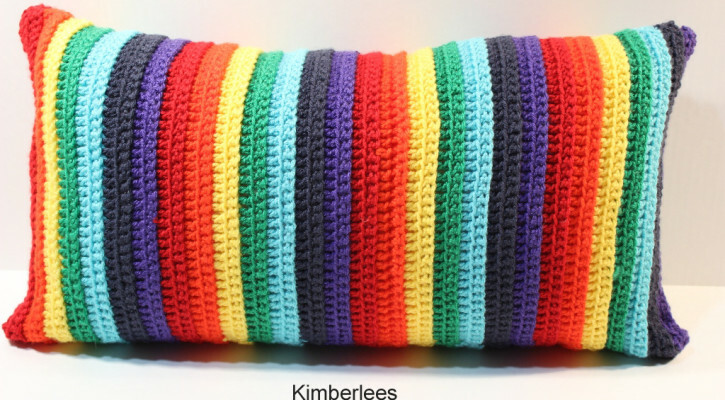 You will need 7 colors of yarn and a pillow form that is 22 in. by 12 in. The chakra colors are listed in the pattern and there is a table provided to keep track of your rows – the pattern is a 2 row repeat. You could also make this in other colors of your choice, not the chakra colors. Stitches you will need to know are single crochet and double crochet to complete this pattern. 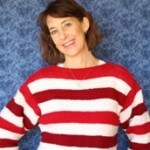 Any items made from this pattern may be sold – but not the pattern as it is my own design.